Loving Daughter, Wife, Mother, Nana, Sister, and Friend to many. 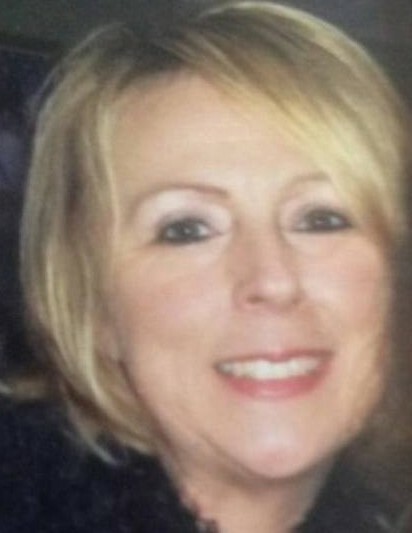 Sheila D. Gullikson, 51, of Machesney Park, IL, went to heaven on Monday, April 8, 2019, peacefully surrounded by her family. Sheila was born on May 29, 1967 to her caring parents, Shelby and Shirley Hancock. Sheila graduated from Harlem High School in the class of 1986. Sheila married the love of her life, Kirk Gullikson and established their family where they raised their children, Jesse and Jacqueline. Sheila truly lived life to the fullest through simple pleasures; going on any adventure with the love of her life, chatting with family and friends, selling and buying jewelry, spoiling her loved ones, getting her nails done, finding a great bargain, and most importantly, spending time with her grandbabies. Sheila was a dedicated mother first and foremost. She treasured her children and embraced every moment with them. She especially loved her role as Nana. Sheila loved holidays and family-get-togethers; any chance to spend time with her family was important to her. Sheila worked many years and gained many friends through Northern Illinois Optical, Rockford Bus Company, and Snyder Electric. Sheila had an uncanny ability to reach people in a deep way. A classy and sassy woman, Sheila was never afraid to speak her mind or share her opinion. She had a spirited personality and always made people around her laugh. Her infectious smile and kind, compassionate soul touched the lives of everyone she met. Left to cherish her memory are her adoring parents, Shelby and Shirley Hancock; her loving husband, Kirk Gullikson; two loving children, Jesse Gullikson (Cortney), and Jacqueline Shipman; her grandchildren, Nevaeh Shipman, Kylee Gullikson, Harmony Shipman, Myles Shipman; and her devoted brother, Stacy Hancock (Jenny). A Celebration of Life will be at 1:00pm on Saturday, April 13, 2019 in Honquest Family Funeral Home with Crematory-Roscoe Chapel, 11342 Main Street, Roscoe, Illinois. Visitation will be on Friday night, April 12, from 5:00pm to 8:00pm also in the funeral home. Burial will be in Burritt Township Cemetery.